"that's worse then I imagined," muttered kladi, "so anyone up for a little revolution?" Firestorm looks at the Tryptich Mask, "I wonder what Amalgamous thinks of it." He muttered. He doubted that the First Transformer would support such a regime. "Oh, I wholeheartedly agree," supports Beta Maxx. "It goes against everything Mutan culture, and Cybertronian culture as a whole, dare I say, stands for." Seraphicon picks up the dual swords he fixed up and gives them to Firestorm, "Thought you'd like them." He said. Firestorm activates the two blades and examines them. Seraphicon brought out some tools and began sharpening his swords. "Have the Knights tried to stop this extremist group?" He asked as the sound of a whetstone sharpening a blade rang out. "They don't know what's happening- no one on the other colonies does," Beta Maxx expounds. "The Functionists have almost completely isolated Muto from the rest." "I'll give Primogenitum a call," Firestorm said, "We're going to need help if we are going to basically go to war with a very extremist government like this one." And I am sure Amalgamous has some very choice words about all this. he thought. Dark was very happy, he always wanted to topple a government; it sounded fun. Maximus and Axis were in their Hab-Suite, unaware of all the other goings on in the ship. "It'll take a while for the signal to reach Prima's colony, but that's still not a bad idea," Beta Maxx says. "Fortunately, there is a rebel militia already putting up a good fight." Firestorm saw the spear and figured that extending one more olive branch wouldn't hurt. He fires a grapple hook to basically lasso it and bring the weapon to the Knight. "I'll get on that right away." Firestorm said, calling the colony of Prima via his talismanic armor. He hopes he doesn't get mistaken for a prank caller this time. 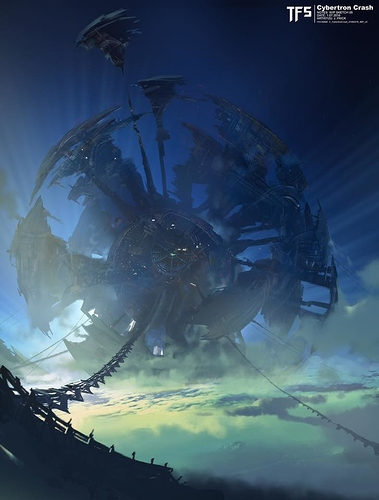 The rest of the NPCs aboard the ship are made aware of the goings on of Muto as the Excalibur reenters normal space above a metal sphere orbited by shifting, city-covered continents that were constantly transforming, combining, and breaking apart. All seemed well from orbit, but of course the relic hunters now knew better. "I recommend we stay in orbit and try to find the rebels before the Functionalists find us." Seraphicon said, a bitter edge to his tone when he named the extremists. Firestorm was tapping his foot, out of both anxiety and impatience, as he waited for someone in the Order (possibly Razorwing) to pick up. Maximus and Axis move to the hanger and await deployment. “We’ve taken on loads of tyrannical regimes, right, Cargo?” Zip assures Beta. Firestorm has a gift, a peace offering, for you; I think you'll love it. "Not like this." Seraphicon said to Zipline and Cargo, the sound of his swords and even his wings sharpening clear, "This place has it on a much wider and dangerous scale than what you're thinking." He wanted to see justice served; no society should base themselves on something as petty as alt modes, especially not on a world that was founded by Amalgamous Prime himself. "Unfortunately, they likely already know we're here, or at least they will soon," Beta Maxx says. Firestorm would have to "leave a message", so to speak. “We know dangerous. We’ve defused a ticking bomb next to a mountain of Energon before,” brags the smaller. Having received the message, Maximus went to the armory. Though he wasn't too thrilled. Yes he had agreed not to kill the knight, but that didn't mean he had to like him. He entered the armory (robot mode) and approached the minicon. "Alright. What do you want to show me?" Firestorm rolled his eyes, "Knights of Cybertron, this is Firestorm and I am requesting for reinforcements to be sent to Muto due to a genocidal extremist group having taken over the world and killing those they deem useless, especially Shifters. Immediate response and action is requested; I will be waiting on Muto and warn that this world has the ability to deceive due to the nature of its people and the world itself; I mean no offense to those of Muto but am pointing out that they are likely to be as unpredictable as their colony's founder." He said in the voicemail. Firestorm held out the spear for Maximus to take, "A gift for you in the hopes we can be on good terms." He told the Predacon. Maximus looked at the weapon, surprised be the offer. He saw the crest of his prime. He knew the weapon itself held little value to his own culture, but the intent was clear. "Uh... Thanks. I appreciate it." Maximus said, taking the spear.